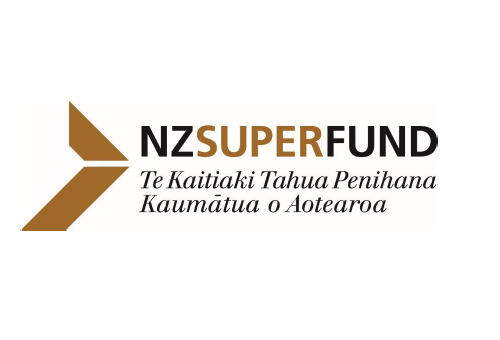 The NZ Super Fund's strong performance has continued, with a 19.8% return for the 12 months to December (after costs and before NZ tax), Catherine Savage, the Chair of the Guardians of New Zealand Superannuation, the Crown entity that manages the Fund, told the Government's Finance and Expenditure Committee on Wednesday. With the Government resuming contributions in December, the Fund stood at $37.9 billion. It has returned 10.5% p.a. (after costs, before NZ tax) since inception in 2003. “Looking forward, the global economic outlook is better than it has been for several years. However, with many asset classes globally at or above full value, we do not expect annual returns in the teens and twenties to persist. “Returns are likely to normalise and over the long term we expect the Fund will deliver average returns of approximately 8% a year, based on current portfolio settings,” Savage said. A global recruitment process for a new CEO is underway, but will not be completed by March, when Orr leaves for a new role as Governor of the Reserve Bank of New Zealand. Chief Investment Officer Matt Whineray has been appointed Acting CEO from mid-March. All figures are for the 12 months to December 2017 (after costs, before NZ tax). Very impressive. Good job, NZSF. One of the main reasons why I didn't vote National, their financial illiteracy. Even if, like me, you have more against Michael Cullen than for, you have to admit that this concept has been outstandingly good for the country & NZ’rs. So well done that Labour Government! Even if the last National Government did not go so far as Muldoon in vindictively destructing the scheme prudently introduced by the Kirk Labour government, they are still negatively accountable for ceasing contributions while allowing money to be squandered elsewhere, Ministry of Health headquarters, MBIE etc. Think that confirms how little regard they had for the average NZ tax payer as opposed to their big corporate buddies. Hope though, that not too much investment has been risked in propping up the like of Fletchers, Tower Insurance?? I bought an index fund - it returned exactly 24% over the same period, on the same basis. The dow was up more than that. Performance and risk is a tradeoff. What does well in a bull market can crash exceptionally in a market shift. You would hope the Super Fund was more balanced and protected against market downturns, much like the recent one. Oh look it is. I'm beginning to think kiwisaver should be scrapped and have those funds transferred to the team at the NZ Super Fund. Set up a new parallel fund with the existing one. God no! That's a horrible idea. We need more people to have their own savings and assets when they retire, separate from any Gubmint handouts. A new state-owned fund will just continue to foster a sense of entitlement and a "the Gubmint will provide my retirement" attitude. Kiwisaver is still flawed, but at least it's a step towards having some sort of independent nest egg when you hit 65. KiwiSaver aggressive fund managers should feel really embarrassed, however I don't think they will. Sure, the returns to Dec have been very impressive. Lucky some would say. If they really believe that markets they are in are "at or above full value", wouldn't now be a good time to get out and to jump in again later? Just keeping stuff because they are in it for the long term sounds very lazy for an actively managed fund. Wow almost as much as Auckland house price growth . Given that market appears expensive , will Labour instruct the NZ Super fund to pile in again ? So how come my aggressive Kiwisaver can't get remotely close?? My Generate KiwiSaver Focused Growth Fund returned 1YR 26.71% after fees before tax apparently. According to their membership newsletter anyway.